The gloves are off and the gauntlets are on! 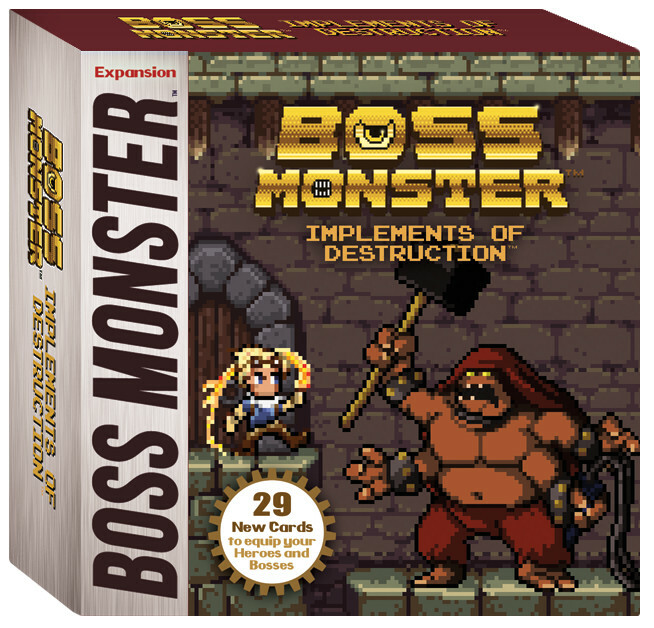 Implements of Destruction is Boss Monster’s first expansion since Tools of Hero-Kind to feature the popular Items cards! Items attach to Heroes as they come into town, granting them powers and bonuses and making them much tougher to slay. Implements of Destruction features 5 new Bosses and 24 new Items. It’s playable with Boss Monster or Boss Monster 2, and it includes Explorer Items for your customers’ 5-6 player Boss Monster: Crash LandingTM games!